The 2015 Super Bowl host stadium will be powered by 100% wind energy, and is not the only stadium in the US making an example of utilising renewables. A number of sports stadiums in Australia could also utilise the technology and demonstrate a commitment to clean energy supply. This article was originally published in Reneweconomy. It can be found here. For those following the NFL Super Bowl in the US this weekend, here’s an interesting renewable energy factoid: both of the teams in this year’s game – the New England Patriots and the Seattle Seahawks – have solar systems installed at their home stadiums. And they’re not the only ones. According to new research by America’s Solar Energy Industries Association (SEIA), one out of every three NFL stadiums has solar. 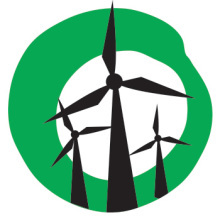 Furthermore, the February 1st Super Bowl game – hosted by the University of Phoenix Stadium in Arizona, which happens not to have any solar installed – will be entirely powered by wind energy energy, as supplied by the publicly-owned power utility, the Salt River Project. “Providing green energy to the game is the perfect opportunity to showcase SRP’s commitment to renewable energy,” Patty Garcia-Likens, an SRP Spokesperson, told ThinkProgress. But the renewables cred doesn’t stop with football. The SEIA research notes that all leading sports leagues in the US, including professional baseball, basketball, hockey, soccer, NASCAR and the IndyCar Series, boast sizeable solar assets. The biggest, a 3MW system, is hosted by the Indianapolis Motor Speedway. 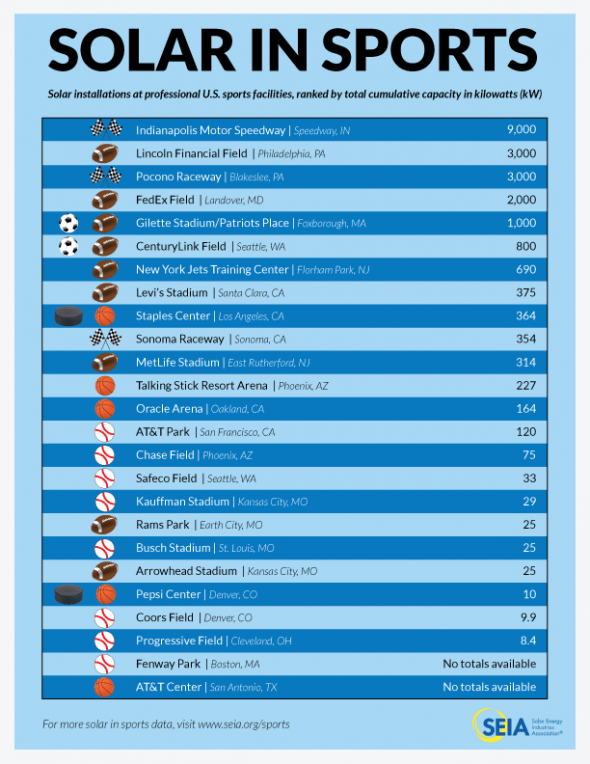 According to the report, all that adds up to a total cumulative solar capacity in professional sports of 21.7MW as of last year, enough to power nearly 3,000 US homes. In Australia, the Metricon Stadium – home to the AFL’s Gold Coast Suns – was the nation’s first ‘solar stadium’, with a 600-panel system that generates around 20 per cent of the stadium’s annual energy consumption, enough to power more than 50 Queensland homes.